The album track choices that fans could have voted for included songs from all the albums except for Astronaut, which I discussed last week. Despite having the possible picks from the entire Duran catalog and history, the final results included 3 songs from Rio, 1 from the 1st album, 1 from Seven and the Ragged Tiger, 1 from All You Need Is Now, and 1 from Paper Gods. Despite many fans liking or even loving those albums in between the Fab Five era and the post-reunion era, no songs were selected from that huge chunk of material. Let’s compare the results of the singles in that way. Which albums were represented? The 1st album, Rio, the Wedding Album, Paper Gods and Seven and the Ragged Tiger were represented. Fascinating. If I were to combine the results of the singles and the album tracks, it appears that Duranies really prefer the early Duran period and the most recent Duran period. Ordinary World from the Wedding Album is the exception to this rule. Beyond this, are there any other patterns to the album tracks that were picked? I notice that many of the album tracks were more artistic in nature other being pop songs. Songs like the Chauffeur, The Man Who Stole a Leopard, Paper Gods all fit that description. Even Friends of Mine and New Religion might fit that. Surrounding those artistic songs is one more upbeat song (Hold Back the Rain) and one ballad (The Seventh Stranger). The results from the singles were almost the opposite with 5 more upbeat songs and 2 ballads. What patterns do you think? What do you think of these choices? Any predictions for what b-sides/demos will be chosen? If you haven’t vote for those, go here! Last week, Duranies/fans/readers of this blog voted on which album tracks from the four most recent albums should be considered for a Duran Duran Ultimate Box Set. As always the results surprise me and interest me as I like to learn about the Duran fan community and people’s preferences. I’m fascinated by what songs were the favorites, which ones weren’t chosen at all and what all that shows about the fans’ likes. The first thing I notice is that there are no songs chosen from Astronaut. While some fans chose songs off that album, those songs were not popular overall. Astronaut’s history is a fascinating one. I remember when that album came out. Everyone loved it. Yet, it has not stood the test of time. Why is that? Better albums since then? Overproduced? Did they try too hard on it? Did people’s opinions change after the reunion of the Fab Five changed and Andy left? Interestingly enough, though, the band still plays Sunrise live whereas they haven’t been playing anything off of All You Need Is Now or Red Carpet Massacre. Next, I notice that there is only one song off of Red Carpet Massacre, which is the Valley. Clearly, that album isn’t loved much more than Astronaut is. The rest of the list has 4 tracks off of All You Need Is Now and 3 songs off of Paper Gods. What interests me is that the three songs off of Paper Gods are slower, more introspective. Likewise, most of the songs chosen off of AYNIN are also slower, more artistic in nature. I will be interested to see how the final album track vote total goes. Will the album tracks be more artistic while the singles are more mainstream? We shall see next week! What songs were not chosen by anyone? There were quite a few, actually! Earlier in this blog, I acknowledged that the album tracks off of Astronaut were not fan favorites. Yet, they were favorites of someone. The same cannot be said for Red Carpet Massacre. In fact, three tracks were not chosen by anyone. A lot of people, at the time RCM came out, were excited by the tracks produced by Timbaland. Now, one of those tracks was left voteless, which was Skin Divers. I wasn’t surprised that instrumentals were left off people’s lists of album tracks. In my experience, many people like the instrumentals but they prefer tracks with vocals on them. Likewise, the song, Danceophobia, has never been a fan favorite for obvious reasons. This week, fans will make the final vote for album tracks, which you can do here. These tracks will be added to the singles that were previously chosen. Then, we will move on to b-sides/demos. While we wait for the final vote, does anyone have any predictions? Ultimate Box Set: Album Tracks Part 5! Duranies have been assigned a fun task. We have been charged to create (on paper) a Duran Duran Ultimate Box Set. This box set should have 7 singles, 7 album tracks, 7 b-sides/demos, 7 live tracks and 7 side/solo project songs. So far, the readers of this little blog have chosen the 7 singles. We have been working on the album tracks. Over the course of 4 weeks, we have narrowed the possible list of album tracks to just over 28 songs, which was challenging enough. Now, it is time to pick just 7 from this list. That’s right, we need to pick 7 songs from this list of favorite album tracks. I will admit that this is going to be a challenging vote. I know that it will be challenging for even me. My only advice is just to go with your gut and pick the songs quickly. Don’t overthink it. Good luck. I know that I look forward to the results. Then, we get to move on to b-sides and demos, which will probably prove to be challenging as well. Fans have been voting for a few weeks on the album tracks they think should be considered in an Ultimate Duran Duran Box Set. The first part consisted of the first three albums (1st album/Self-titled, Rio and Seven and the Ragged Tiger). The next one included Notorious, Big Thing and Liberty. This one focused on the albums before the reunion, including The Wedding Album, Thank You, Medazzaland and Pop Trash. After asking questions of fellow fans for years about Duran’s music, I feel like I have a good grasp on what the fans like and don’t like when it comes to Duran’s music. Generally, fans ignore the albums of Thank You, Medazzaland and Pop Trash, with some exceptions, of course. Therefore, I didn’t have a clue as to which songs would be chosen from these four albums. I thought that most of the songs might be from The Wedding Album, considering that it is more of a favorite than the rest. Nonetheless, the results showed otherwise and provided me much fascination. The first thing you might notice is that there are 9 songs as opposed to 7. There were ties. I am actually surprised that this hasn’t happened before. Anyway, you also might notice that all 4 albums are represented in that list. What caught my attention, though, was that song off of Thank You that was chosen was Watching the Detectives. It wasn’t White Lines that they regularly play live or Perfect Day that Lou Reed claimed the band did a better job on the song than he did. The other thing I noticed is that a lot of these songs had more of a mid-tempo rather than being ballads or songs to rock out, too. If you look at the complete results, you notice that almost all songs were chosen, at least once, with two exceptions. Both Fragment and Kiss Goodbye were left voteless. This is probably because they are short, little instrumentals. That said, there were a number of songs that were only chosen once, including Shotgun, 911 Is a Joke, Success, and Silva Halo. This week, we finish picking the possible album tracks by asking people to pick 7 album tracks off of the four albums post reunion. We would love, love, love for you to participate, if you haven’t yet. Simply go here and vote for 7 songs that you think should be considered for a box set. Next week, then, we will take the final vote on album tracks before we move on the rest of the box set (b-sides/demos, live tracks, side/solo project songs). Today, I continue to share the results of fans choices for Duran Duran’s Ultimate Box Set. I will also add a little analysis, too, because I like to. I like figuring out the Duran Fan Community. (Yes, I’m weird.) In case you missed the beginning of this, I’ll give a quick summary, this idea was created by my friend, Nat. The idea is to have the fans pick the songs that should be included on a box set, if something like that would be created. Once all four sets are completed, then fans will pick the 7 songs from that list of 28. When I look at the 7 album tracks that were picked from the albums of Notorious, Big Thing and Liberty, I notice that the overwhelming majority of songs came from Notorious. I could not have predicted that. In fact, I would have thought that the majority of song would have come from Big Thing. For example, I am really surprised that Land was not chosen. I also rarely hear fans rave over the Notorious album. Obviously, I know that the band plays the title track live and that it generally gets a positive response but…I don’t hear the push for those album tracks. On the other hand, I was not surprised that Liberty’s album tracks were not selected often. Liberty is not the most popular album amongst fans. I didn’t realize that My Antarctica was that popular, however. Then, when I look at all the album tracks selected so far, I realize that there is a range from more of the Duran dance tracks like Hold Back the Rain to more of the mid-tempo range like Friends of Mine to more ballads like My Antarctica. On that sense, I think the fans are doing a good job making sure that all of Duran’s skills and range are shown. Of course, this may change with the actual vote of album tracks. For the next couple of weeks, fans will choose album tracks from The Wedding Album, Thank You, Medazzaland and Pop Trash. I would love for as many fans to participate as possible. After all, the more who do, the more accurate the results. To vote, go to this blog here! Today, we move on to the next part of our little series of polls. The goal is to create an “Ultimate Box Set” through fan voting and participating. In previous weeks, we have chosen the 7 singles fans would want included such a thing and we have chosen 14 album tracks from the first album through Liberty. This week, we ask fans to choose 7 album tracks from The Wedding Album, Thank You, Medazzaland and Pop Trash. Obviously, there are more tracks to choose from this week since we included one more album. It just made sense to me to divide up the albums like this. That means that the final poll on album tracks will include the 4 albums since the reunion. After that, we will move to live tracks, demos/B-sides and side/solo project songs to complete the box set. I do want to point out that this poll will be active for 2 weeks as I won’t be creating the next poll until then. Why is that? Simple. Next weekend, I’ll be in California going to see a couple of shows from a band that we might talk and write about a lot. I figured that more readers would want to hear about the shows over polls such as this. On that note, happy voting! I like giving homework. More specifically, I like giving Duran Duran homework. The teacher in me recognizes that the assignment needs to be “accessible” in order for students, or in this case–fans, to complete it. The format needs to be friendly and definitely should understand that people are pretty dang busy these days. Heck, I’m super busy. You should see my to-do list. It is ridiculously long and that is just for today! I digress. These 7 tracks will be added to the three other sets that will be determined in future weeks. From there, fans will chose 7 tracks from 28 total. I cannot say that I was surprised by these results. I figured that New Religion would be high on the list as would Friends of Mine and The Chauffeur. Likewise, there was only one song off of Seven and the Ragged Tiger. Again, from every survey we have ever done, that album is clearly not as popular or as loved as the first two. If I had to look at one song that surprised me, that song would be Anyone Out There. I might have guessed for a song like Sound of Thunder or Last Chance on the Stairway to take that last spot. Alas, Anyone Out There took it. Now, this week, fans get to pick 7 songs off of the next three albums: Notorious, Big Thing and Liberty. I have some idea of the songs that might be chosen but…I suspect there will be more surprises. Have you participated yet? If not, go here! Right now, this little blog is in the process of trying to develop an “ultimate Duran Duran box set”. Obviously, the song choices will not be coming from Rhonda and myself alone but will be from the fans who participate. A couple of weeks ago, we started with 7 singles. Then, we have moved on to album tracks. I figured it would be too hard to just pick 7 songs from all of the album tracks that are out there. Thus, last week, I decided to break down the choices by albums. Fans who participated voted for 7 album tracks from the first three albums. I’ll report on those results tomorrow. Now, we move on to the next three albums: Notorious, Big Thing and Liberty. If you would like to take part in this fun, simply click on the 7 songs that you think should be considered to be part of the ultimate box set. After this week, we will do two more like this with the remaining albums. Once all four parts are completed, there will be 28 album tracks to choose from. I hope that this will be easier for people than all the tracks, all at once. Enough explanation from me. It is time to vote!! Which 7 songs should be considered for the Duran Duran ultimate box set? Last weekend, I began a process in which fans would create the “Ultimate Duran Duran Box Set”. Again, this idea came from my friend, Nat, who thought it would be fun to make fans pick 7 singles, 7 album tracks, 7 b-sides or demos, 7 live tracks, and 7 side and solo project songs to create the best box set possible. I dug the idea and asked fans to pick the 7 singles through a little poll. Many people participated and I’ll share those results tomorrow as well as give a little analysis. This week, then, we should be moving on to the album tracks. I began creating the poll and realized just how many album tracks there are! 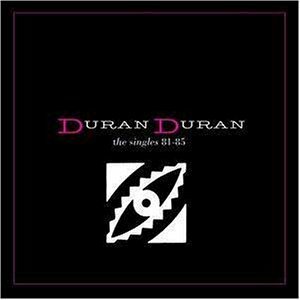 I always knew that Duran had a large catalog but I didn’t quite understand the length of the catalog until I started listing all of them. Eek. On top of that, imagine taking all of those album tracks and trying to pick just 7 of them to include. How next to impossible would that be?! I know that a lot of fans would struggle to pick just 7. Their frustration might be so high that they would refuse to participate. I can’t have that! Thus, I decided to break down the albums into more manageable chunks. Today, I ask fans to pick 7 album tracks from the first three albums: Self-titled debut, Rio and Seven and the Ragged Tiger. Next week, I’ll ask about Notorious, Big Thing and Liberty. Two weeks from now, we will focus on The Wedding Album, Thank You, Medazzaland and Pop Trash. Finally, I’ll ask about Astronaut, Red Carpet Massacre, All You Need Is Now and Paper Gods. From there, I’ll take the results from all of those and ask people to pick the final 7. I recognize that this may not be as accurate as if I listed all of the tracks but I think I’ll have more participate this way. I hope. On that note, let’s vote on the 7 album tracks from the Self-Titled Debut, Rio and Seven and the Ragged Tiger that should be included/considered for the Ultimate Box Set. This poll will be open until next Saturday (March 4) Happy voting!